The ABC is stepping up its enforcement recently. Though it's made plenty of waves with the local bar community, the sudden—and borderline insane—crackdown from the Department of Alcoholic Beverage Control has been bubbling beneath the public eye, so it's as good a time as any to discuss. Given the state's well-documented financial troubles, the new enforcement of previously ignored ABC rules shouldn't come as a huge surprise, but it's very notable nonetheless. It all started a few weeks ago, when the ABC issued a warning to businesses, telling them (in a nutshell) to be careful because there's going to be an uptick in ABC activity. Now, these spurts of enforcement happen every once in a while and eventually things go back to normal after a quick flurry (i.e., bars make extra sure to have no drinks on the bar post 2AM, they watch out for stings with minors), but this time around, it was different. Maybe ABC workers are under pressure, maybe the state needs to generate cashflow, but whatever the conspiracy theory, it's been more vicious than usual, especially among some of the city's high-profile cocktail joints. Locals may have noticed an increased presence of the unsubtle NOTICE OF SUSPENSION signs around town lately (O'Reilly's, Mercury, Osaka, just to name a few), but there's been all kinds of activity. We've heard tales of everything from officials confiscating DJ equipment in the moment to ABC inspectors demanding to be let into bars after hours. That said, the one garnering the most outcry from the cocktail bars is the crackdown on elixirs, bitters, and similar infusions. Technically, it's illegal to modify liquors, per a Prohibition-era law that was put in place to ensure the public that bars wouldn't tamper with the alcohol, unbeknownst to the customer. Obviously, nowadays, pretty much all of the well-known "artisanal" cocktail places make their own house syrups and whatnot, and it's unlikely that a yuzu bitter (or whatever is in that 10-ingredient drink) is misleading the public. It's one thing to crack down on underage drinking, but it's another to take aim at the outdated laws, which one bar owner described as the equivalent of issuing multiple jaywalking tickets all of a sudden. It's salutary neglect, you see. Still, a well-known cocktail hotspot was busted for its infusions recently and between the pricey fines and the rest, let's just say it wasn't pretty. Thus, you may have noticed that your favorite cocktail spots have been sans "illegal" concoctions over the last few weeks, with the hope of laying low and weathering the storm. But hey, at least raw eggs are still OK here. 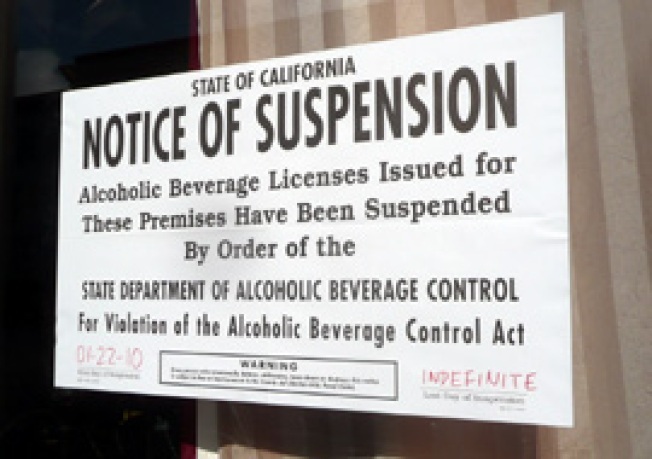 Bar owners and bartenders, have you experienced the crackdown? Drop us a line and share your story. Anonymity guaranteed, if desired.